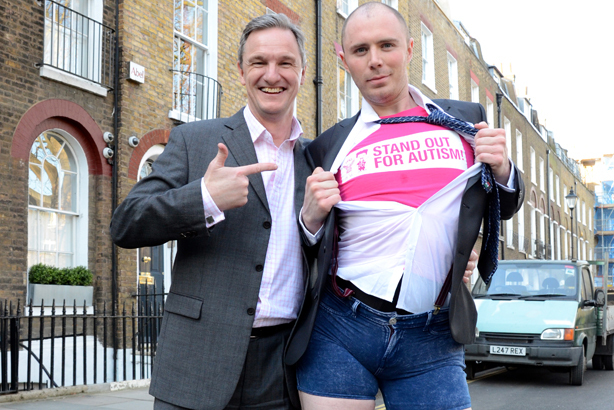 Epic Dave, the character from the MoneySuperMarket adverts, has recreated his signature 'Epic Strut' at the National Autistic Society (NAS) as part of a campaign for World Autism Awareness Week. The campaign encourages supporters to stand out for autism in some way, whether it is sharing stories on social media or getting involved in local 'stand out' fundraisers. World Autism Awareness Week runs from 27 March to 2 April. MoneySuperMarket is supporting the campaign as NAS’s charity partner. The two-year partnership, which officially starts today (1 April), came about after a vote from MoneySuperMarket staff members on the prospective new charity partner. The charity was initially nominated by three of the team who had been affected by autism, before it was shortlisted and announced the winner.